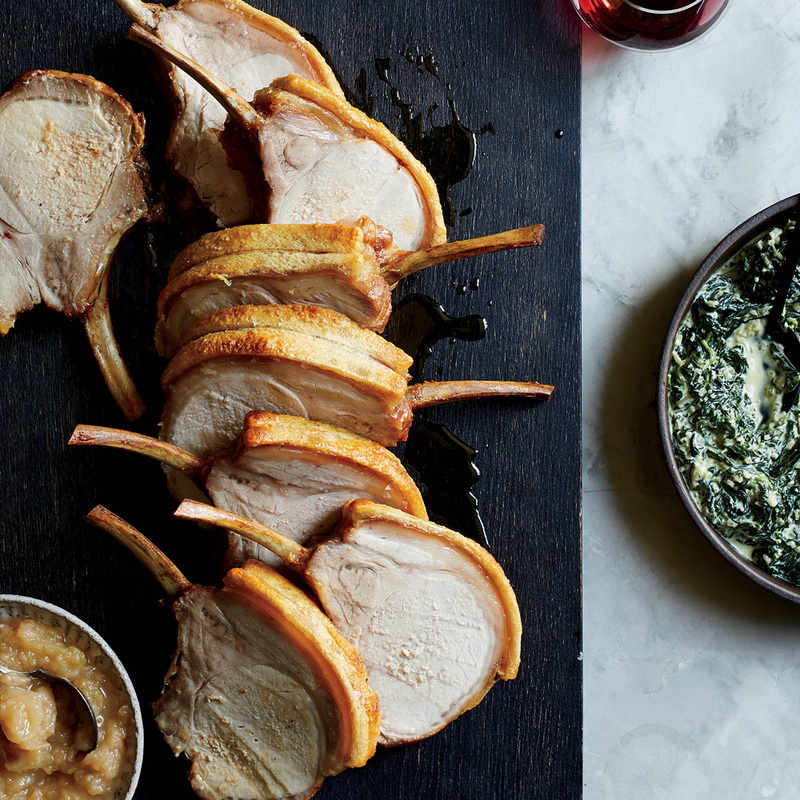 Whether barbecued, roasted in garlic and rosemary, or stuffed with spinach and prosciutto, pork loin makes for an easy and delicious dinner. 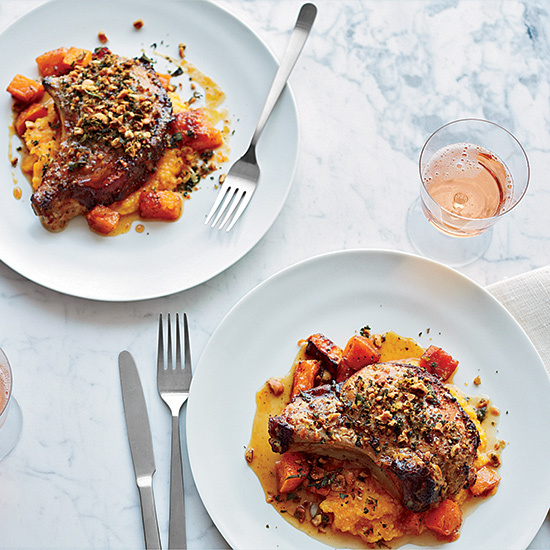 Here, our best pork loin recipes for simple weeknight meals. 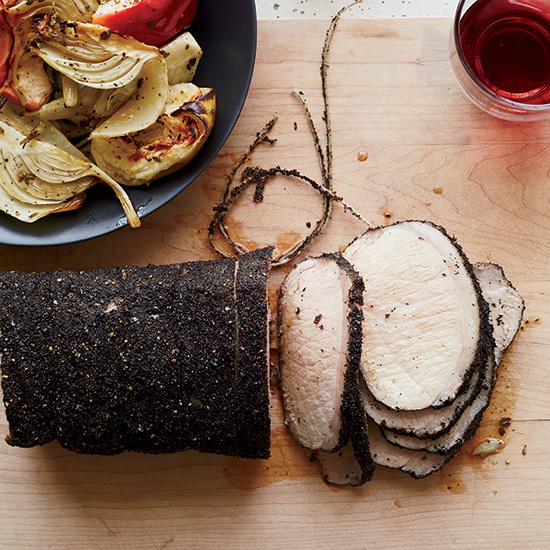 Food & Wine’s Laura Rege stuffs her pork loin with a tasty combination of toasted rye bread, apples and pumpkin seeds. 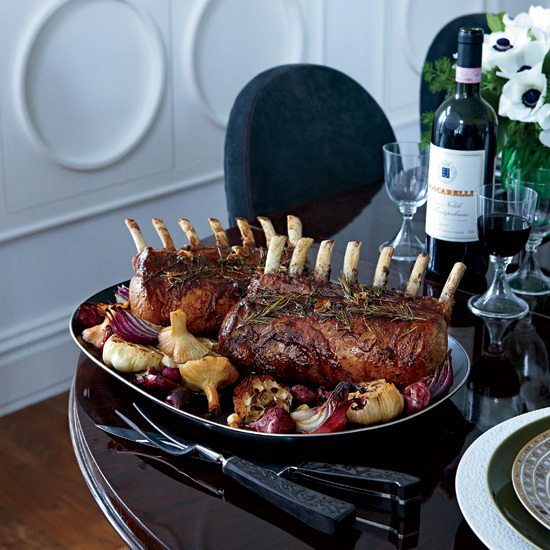 To serve the juicy roast, she drizzles it with luscious unrefined pumpkin seed oil. Your butcher can butterfly the pork loins for you (slice them in half lengthwise almost all the way through, leaving a hinge of uncut meat). 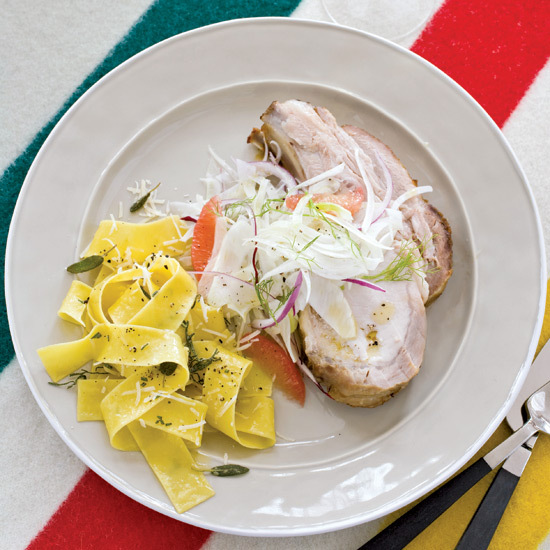 Ryan Hardy first tasted a version of this succulent pork from a street vendor in Siena, Italy. "It changed the way I thought about food," he says. "It was fatty and sweet, spicy and succulent, smoky and salty--all at the same time." 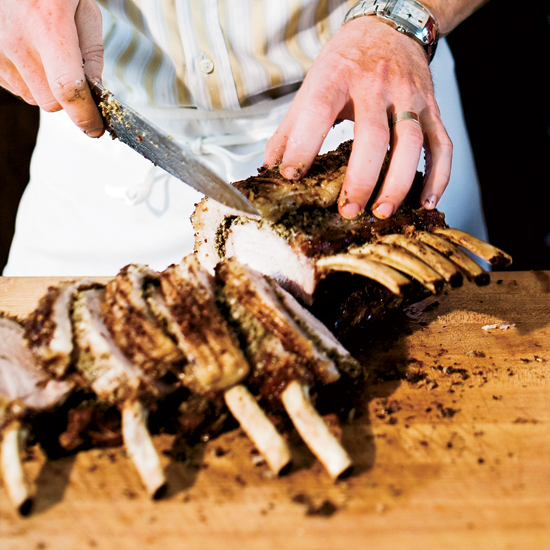 Hardy uses the rub on other kinds of pork cuts, including the shoulder and leg, but the bone-in pork roast is the most dramatic; he often wraps a piece of pork belly around the side to make the meat extra juicy. 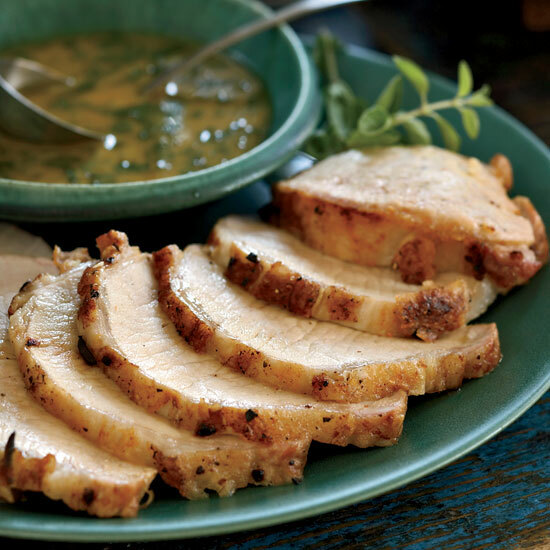 Efisio Farris's sister Angela uses her own homemade saba (reduced grape must) to add tangy-sweet richness to a glaze for pork tenderloin. 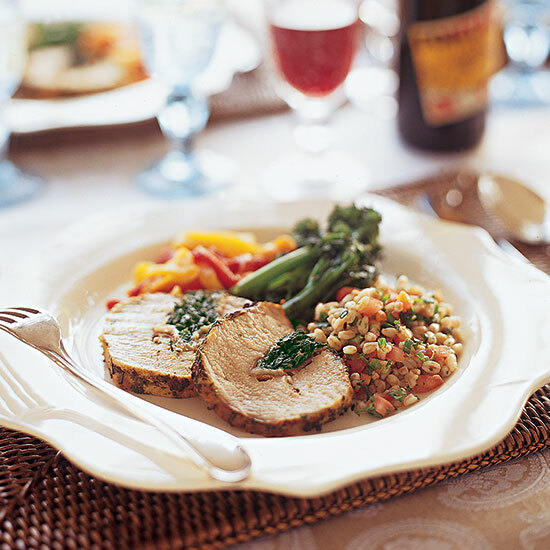 "The saba and Mediterranean herbs combine to give a deep traditional flavor to this 'modern' cut of pork," Farris says. 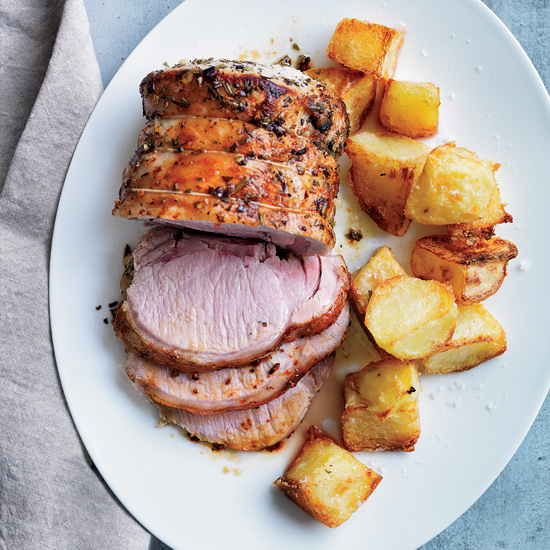 At Casa Oaxaca, chef Alejandro Ruiz Olmedo makes this recipe with suckling pigs; here he uses pork loin, roasting it in fresh orange juice steeped with herbs. When infused with pan drippings, the juice becomes the base for a tangy sauce. Tory Miller works with the Uplands Cheese Company's co-owners, Mike and Carol Gingrich, to raise pigs that taste of Wisconsin terroir--they're fed local apples, hickory nuts and acorns, as well as whey and cream from the dairy. 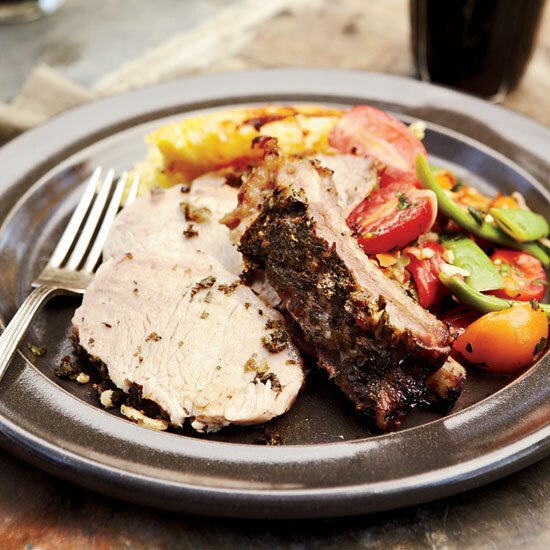 The addition of brown sugar and mixed spices to the brine for this pork loin enhances the meat's natural sweet, spiced flavor. 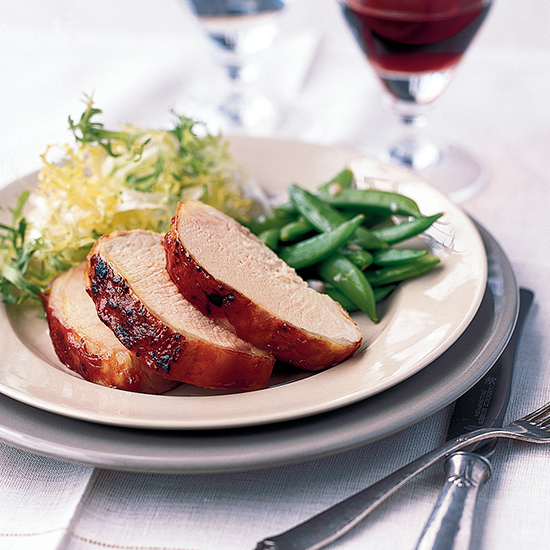 The Earl Grey tea that coats this pork has an almost citrusy flavor that infuses the meat as it roasts. The apples in the pan get so tender that they're almost applesaucy. 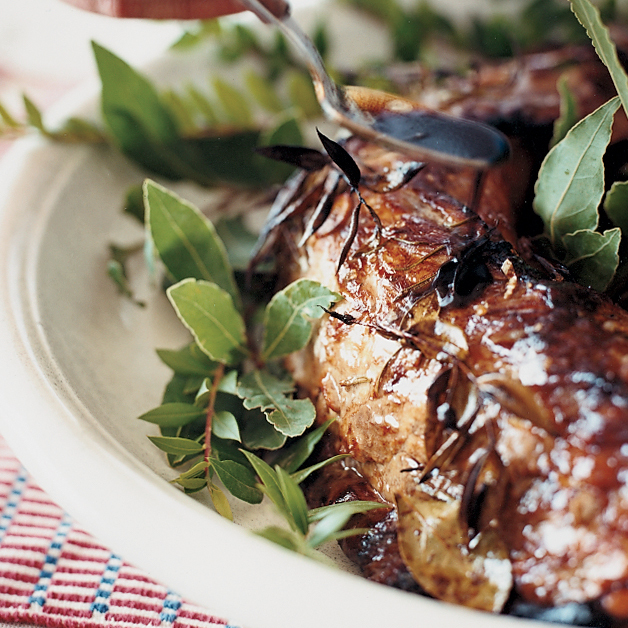 A big, bold, garlicky marinade, made with a whole bunch of fresh rosemary, flavors this juicy roast from Ethan Stowell. 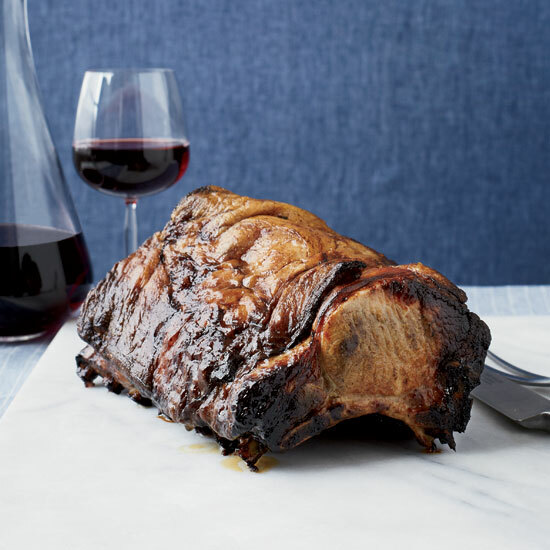 Erika Nakamura, butcher and owner of White Gold in NYC, uses the pork skin for her standing rib roast to seal in the juices during cooking. 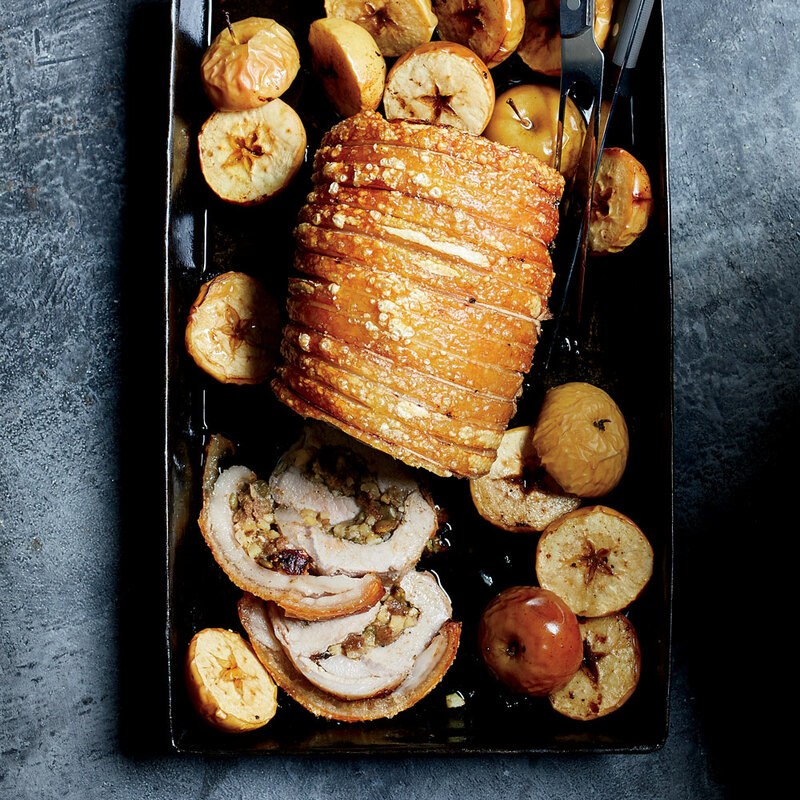 The best part is that the skin puffs and crisps, creating irresistible cracklings to eat with the meat.